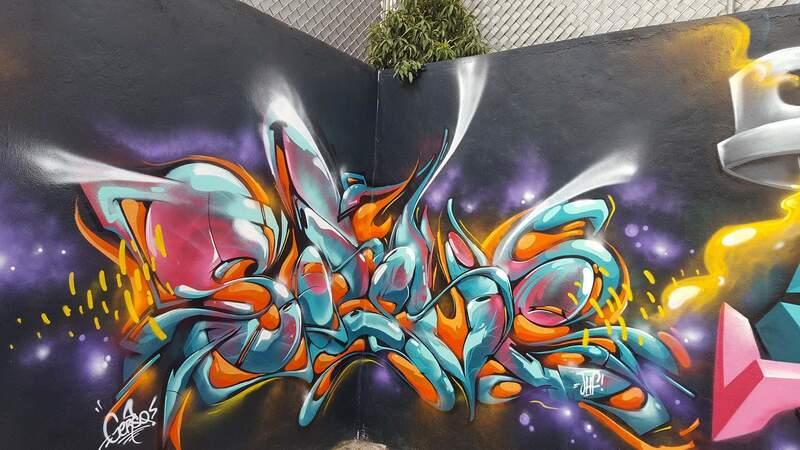 Alright so thanks for taking the time out to do this interview, can you give us a brief introduction to who you are, what your history is in the graffiti game and what crew do you rep? 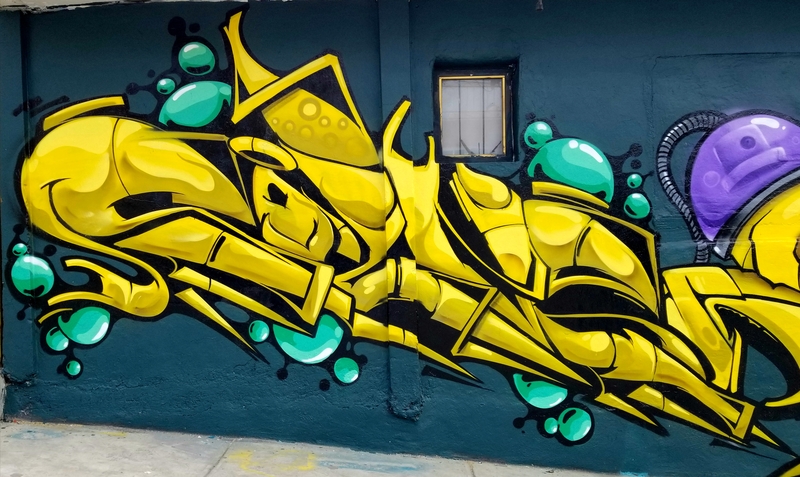 Hi, my name is Solver I’m from Mexico but I living in California USA, I’m 28 years old, I’m from JHF crew and recently I start representing the international ZNC crew. I see you have started your own YouTube channel as well as you post a lot of stuff on Instagram so I’m curious if you have any kind of master plan for how your approaching getting yourself out there? Does the online presence help you find work? Do you ever sell originals of your work? I have my YouTube channel where I upload little videos once I a while, nothing professional only as a hobby, and is some others channels where my friends do videos more elaborated. I use to post more on my Instagram, there is more easier to be in contact with people, always collaborations coming up, business and the connections that make with people around the world makes traveling easier. When you were coming up what was the biggest turning point in your career? Was there ever a time where you were struggling to make a living and questioning whether or not you would make it? Well, you know there’s always people that dont want to grow up, but other than that, the adaptation of a new place is something a little hard to do, that happened to me when I moved from Mexico, I use to be in the streets walking around the city doing my tags and bombs, but here is a lot different and the way writers manage the game is way different too. But not enough to stop me. How important is collaboration to you? Do you feel like you learn a lot from working with other artists? The collaborations are always great man, you have the opportunity to meet new people, not just pictures behind the screen, and you always learn from others of course, we never finish learning, sharing the best of you makes you grow up. Any business advice you can give to people who want to do what you do? I always say that never give up of your dreams, if you are trying to do something and it doesn’t like you, do it again till you see what you wanna see. The first event to I participate I was like 15 years old in Nayarit Mexico, that was really cool because I never seen a lot of people painting and artist that was coming from other states. What kind of music do you listen to when you paint? what is inspiring you right now that isn’t in the graffiti world? I like a lot of music, but the most to I like when I paint is Spanish Rap, my favorite raper is “Canserbero”, I like a lot ones but this one is something else, unfortunately he died on 2015. What inspires me out of the graffiti is my little baby, I try to whatever I do in a future makes him feel proud of me. When you were coming up who were your biggest inspirations? Who were the guys that inspired you to get into graffiti and what keeps you coming back now? Any crazy travel stories you can share? Where all have you been in the world and where do you currently reside? I have a lot of experiences traveling jaja, but a good one is when I went to visit one of my crew members to Hermosillo Sonora. We went to paint the trains and some people from the Cartels stop us and wanted to pick up us because they said that we are stealing his drugs, they just hit us but we prove that we went just to paint. Other one is when i went to Colombia, a random guy steal my cellphone from my pocket in the transmilenio (bus). How did you land your first gig doing graffiti? How do you bridge the gap from doing this illegally to professionally? I imagine you cant walk in with a bunch of illegal art as a portfolio for businesses can you? Everything happened by itself, the same people are the ones who put labels on what kind of art you make, but inside you only know where you belong. If people like what you do they will always want it, legal or illegal. Wow that cartel story is a little crazy, how did you prove that you were just there to paint? What is the worst place you’ve visited and what was your favorite? I do not think they believed us, but they still let us go. They did not find their things in our possession. / I do not have a worse place because they have always treated me well everywhere, and my favorite place is always my city Tepic Nayarit. You do a lot of awesome marker drawings, have you ever thought of putting any of those up for sale? I really like to practice on paper, canvas and some other material when I can not on the wall, I do have some for sale and I will try to create more for people who like my work. Any shout outs you would like to give? where can people follow you? If you want to see all my work follow me on Instagram as “Freaksol” , my Facebook “Solver JHF” and my YouTube channel “Solver JHF” . You a follow Solver on Instagram and Facebook.